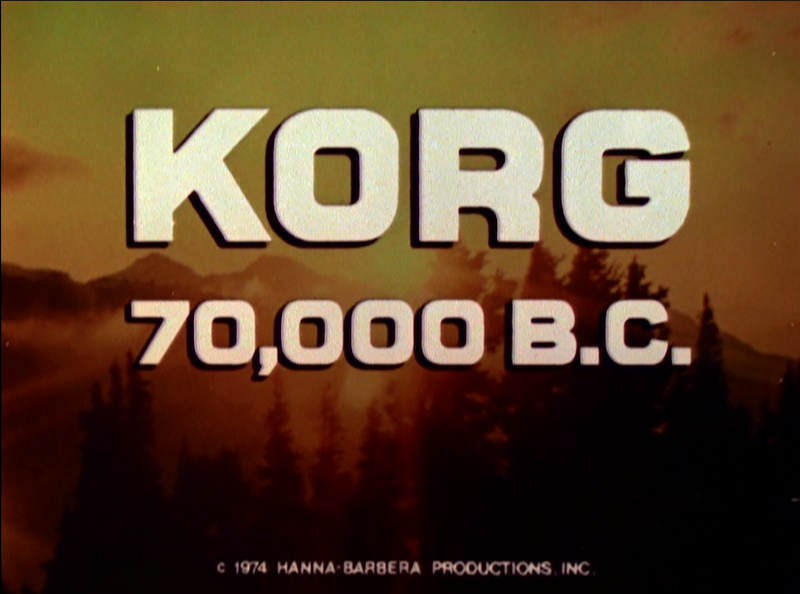 John Kenneth Muir's Reflections on Cult Movies and Classic TV: Saturday Morning Cult-TV Blogging: Korg 70,000 B.C. 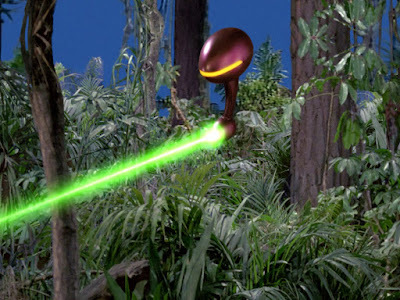 "The Story of Lumi"
Saturday Morning Cult-TV Blogging: Korg 70,000 B.C. "The Story of Lumi"
In “The Story of Lumi,” there has been no rain in Korg Valley for six weeks, and the available water supply is all used up. It is a difficult, four day journey to the Big River for more water, and no guarantee that it has not dried up too. Mara (Naomi Pollack) is worried about Korg’s journey. As Korg (Jim Malinda) and his family ponder how to weather the water crisis, they encounter a girl named Lumi from another tribe. She was separated from her family while they were out looking for water. Although water is in grievously short supply, Korg shares the family’s supply with Lumi, who is only a child. Two hunters from Lumi’s tribe arrive at the cave to retrieve the girl, but steal all of Korg’s remaining water supply at the same time. Lumi, now a friend, begs them not to, but they pay no heed. When Lumi becomes trapped on a cliff-side however, Korg’s family helps the hunters rescue her, and makes an accommodation regarding the stolen water. So once more, Korg 70,000 B.C. goes over some familiar territory. Actually, this is the third episode in three weeks to recycle the same basic narrative: a visitor arrives, uses resources, causes a crisis, and leaves after an encounter with another tribe. This repetitive storytelling is disappointing and surprising, because earlier episodes were more diverse in storytelling. 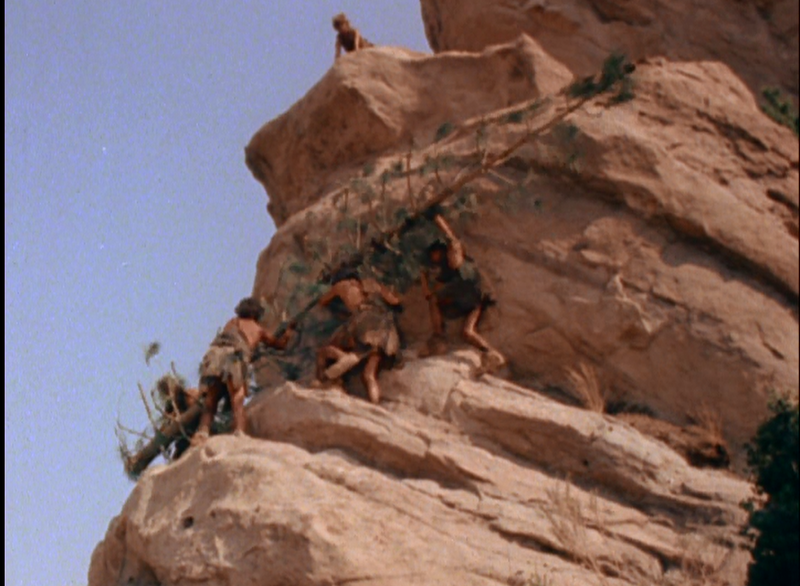 Much of the story here takes place at Vasquez Rocks, especially in the final act, and the sequence with Korg building a make-shift ladder out of a tree in order to rescue Lumi still works nicely. A couple weeks back I tagged “cooperation” as one of the key recurring themes of the series. Here, Korg again shows his decency, and helps Lumi and her family, despite the fact that they have stolen from his family. 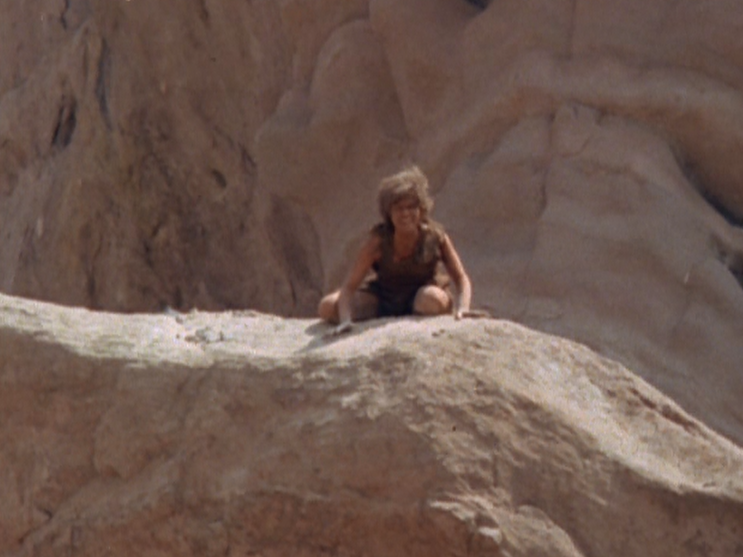 I don’t know how historically realistic this is, but it helps to remember the show was made for 70s audiences, even if it concerns Neanderthals in pre-history. I can’t help but wonder if, really, Korg’s decency would have marked him as being weak, at least according to competitors for the same resources. Fireball XL5 (1962 - 1963): "Flight to Danger"
Ten Years of JKM Reflections: Navarone Playset! Fireball XL5 (1962 - 1963): "Planet 46"